Hailed as the first American-born art movement to have a worldwide influence, Abstract Expressionism denotes the non-representational use of paint as a means of personal expression. It emerged in America in the 1940s, with lead protagonists including Jackson Pollock, Philip Guston, Robert Motherwell, Mark Rothko, and Willem de Kooning. 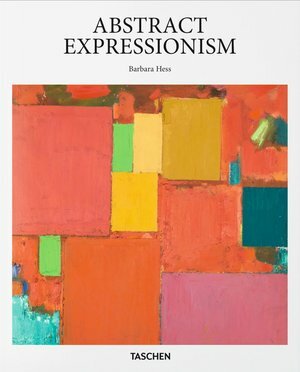 Abstract Expressionism spawned many different stylistic tendencies but two particularly prominent sub-categories: action painting, exemplified by de Kooning and Pollock, and color field painting, made most famous by Rothko. Throughout, Abstract Expressionists strove to convey emotions and ideas through the making of marks, through forms, textures, shades, and the particular quality of brushstrokes. The movement favored large-scale canvases, and embraced the role of accident or chance. With featured works from 20 key Abstract Expressionist artists, this book introduces the movement which shifted the center of art gravity from Paris to New York and remains for many the golden moment of American art.